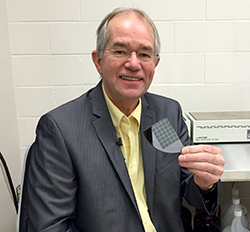 Patent winner: Professor Robert Magnusson, UTA’s Texas Instruments Distinguished Chair in Nanoelectronics, has had five patents issued in less than a year. Watch the video. Professor Robert Magnusson, UTA’s Texas Instruments Distinguished Chair in Nanoelectronics, has had five patents issued in less than a year. Magnusson’s patents are highly conceptual, and he hopes they will have broad impact someday. One patent protects sensor technology that he is commercializing through his small company, Resonant Sensors Incorporated. The other patents include a concept for waveplates that provide heightened polarization control in optical systems; a concept for a very narrow, high-quality laser; technology that would control the bit stream in telecommunications systems; and an optical device that changes the color of pixels in display technology faster than ever before. Tickets are available online to see former congressman and physician Ron Paul in the next Maverick Speakers Series event. 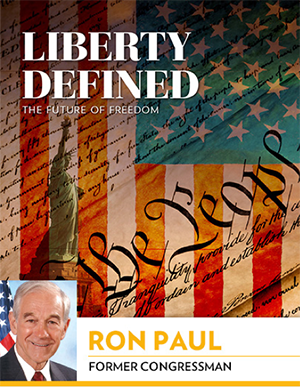 Dr. Paul will speak on "Liberty Defined: The Future of Freedom" at 7:30 p.m. Tuesday, Feb. 2, at Texas Hall. A question-and-answer session and a book signing will follow the lecture. Since his retirement from Congress, Paul has continued to work for limited constitutional government through organizations he founded, including the Foundation for Rational Economics and Education (FREE), Campaign for Liberty, and the Ron Paul Institute for Peace and Prosperity. Paul is the author of several best-selling books, including the recently released Swords Into Plowshares. General admission is free, but tickets are required. Preferred ticket packages are available and include reserved seating, parking, and more. For these ticket options, go to utatickets.com. For VIP packages, contact Mark LaVelle at mlavelle@uta.edu or 2-5235. Tickets also are available to see political strategist and commentator Donna Brazile on Thursday, Feb. 25. The City of Arlington wants your input to make sure its transit service is best meeting your travel needs. Topics covered in the survey include how you currently get to campus, UTA's shuttle service, the MetroArlington Xpress (the MAX), and other transportation subjects. Take a few minutes to complete a transportation survey. Now you can work and workout thanks to the Central Library's computer stations with treadmills and exercise bikes. Both provide a tray for your mobile devices or books. 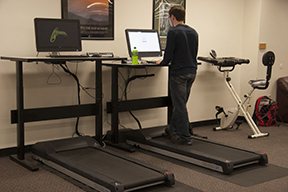 You can read, study, play games, read email, or watch a show while you exercise. Faculty, staff, and students can learn about the IRB submission process, how to conduct ethical research studies with human subjects, and more at the Institutional Review Board (IRB) Mini-Conference 9 a.m.-4:30 p.m. Friday, Feb. 19, on the sixth floor of the Central Library. Sessions include what to expect during the IRB review process, hot topics in human subject research, and a sampling of protocol case studies. Attendees can earn credits for RCR training and human subject training requirements. See the conference schedule and RSVP. Regulatory Services and Research Administration sponsor the conference. Now is the time to nominate a great employee or team of employees for the Outstanding Maverick Awards. Regular full-time and part-time employees who have been employed for a minimum of two years are eligible for nomination. Each Outstanding Maverick selected will receive $1,000 and a plaque at a dinner honoring the recipients. Award categories are professional, para-professional, and technical; administrative support; service and maintenance; administrative and professional; and team with a maximum of 10 members. Submit nominations online through Friday, Feb. 26. For questions or concerns, contact Eunice Currie at 2-7091. Register now for the Dallas Festival of Ideas on Friday-Saturday, Feb. 19-20, at Fair Park in Dallas. The free program focuses on Dallas in the next century with thought-provoking programs, interactive discussions, live music, visual art, and stage performances. See the schedule. Architecture professor in residence Mark Lamster will moderate a panel discussion with five nationally prominent speakers on “The Physical City.” He also is the architecture critic for The Dallas Morning News. The first 500 people who register by Monday, Feb. 1, are guaranteed seating along with the exclusive opportunity to submit questions to the moderators for each panel. Admission is free, but registration is required. A limited number of VIP tickets are available for $195. Planning for the 2016-17 Unit Effectiveness Process (UEP) has begun. Training classes include UEP Refresher and Introduction to TracDat. Classes start Tuesday, Feb. 2. See the class schedule and register online. 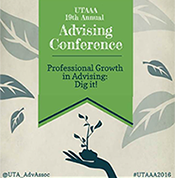 Advisers can explore a variety of ways to grow professionally at the 19th Annual UTA Advising Association's conference, "Professional Growth in Advising: Dig it!" The conference is scheduled for Tuesday, Feb. 16. Late registration ends Friday, Feb. 5. Nominate your outstanding student employees for recognition and a chance to win cash awards. Details on the nomination process and awards are at uta.ed/careers/faculty-staff. Nominations are due by Friday, Feb. 19. For questions, contact the Career Development Center at 2-2932. The next system-wide test of the MavAlert Emergency Notification System is at 12:30 p.m. Wednesday, Feb. 3. Verify your contact information at uta.edu/mymav. The MavAlert system rapidly notifies faculty, staff, and students in the event of a campus emergency via registered email addresses and text message devices. To enable MavAlert text messages, add your mobile phone number or other SMS text message device to your UT Arlington contact information and label it "mobile phone" via the drop-down menu. Log in to MyMav, then click on the Sign up for MavAlerts link in the right column. The MavAlert test will coincide with the regular monthly test of the Outdoor Warning System, also at 12:30 p.m. The University’s voice announcement system will be activated inside campus buildings. The City of Arlington's monthly weather warning test will follow at 1 p.m.
Abstracts are now being accepted for the Annual Celebration of Excellence by Students (ACES), a University-wide symposium highlighting the best in student research and creativity. At ACES, undergraduate and graduate students work with faculty mentors in their disciplines to write and submit abstracts for the competition. Submission deadline is Friday, Feb. 5. ACES 2016 is Wednesday, March 23, in the E.H. Hereford University Center. Whether you paint, take photos, sculpt, or merely doodle, show your artistic side in UTA Libraries' MavsArt spring exhibit. Artwork in two- and three-dimensional forms will be accepted. Submission deadline is Monday, Feb. 15. Questions? 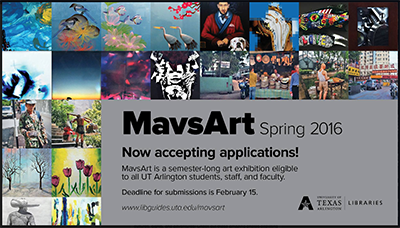 Email janeth.colmenero@uta.edu or visit MavsArt website. Student Activities and Organizations is looking for faculty and staff who have an interest in advising a registered student organization. New groups are continually being formed by students and are required to have an on-campus adviser. Building a mentor relationship with students engaged in on-campus activities can be a fulfilling role for faculty and staff. For more information, go to the student organizations advisers page, email John Hillas at hillas@uta.edu, or call 2-2293. Remind students of a Valentine's Day breakfast for their families, hosted by the Parents and Family Center and Off-Campus Mavericks. The breakfast starts at 9:30 a.m. Saturday, Feb. 13, on the second floor of the Maverick Activities Center. Students can bring up to three guests to the event. RSVP to offcampus@uta.edu by Friday, Jan. 29. MAVS 1000 is recruiting dynamic faculty and staff with a passion for helping first-year students succeed for the fall 2016 semester. Informational sessions are 9 a.m. Wednesday, Feb. 3; noon Thursday, Feb. 4; and 3 p.m. Friday, Feb. 5. All are in Room B170F in the E.H. Hereford University Center. The application deadline is Friday, March 11. For more details, visit the First-Year Experience website or email Molly Albart at molly@uta.edu. What is code DD in Box 12 of my W-2? Box 12 with code DD on your W-2 form shows the total cost of what you and UTA paid for your employer-sponsored health coverage plan. Code DD amounts are for informational purposes only and won't affect the numbers in your tax return. When completing income tax forms, enter the DD amount in Box 12 if you see it on your W-2. Representatives of Volunteer Income Tax Assistance (VITA) are available to help with figuring out your taxes. The free service runs through Tuesday, April 12, in Room B20 of the Central Library. Hours are 5 -9 p.m. Mondays-Tuesdays, 9 a.m.-8 p.m. Saturdays, and noon-6 p.m. Sundays. 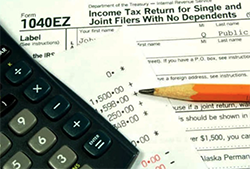 Your W-2 form is now available for viewing and printing through UT Share. Go to the Employee Self Service and look for the form under the Payroll & Compensation header on the left. If you have not consented to receive the form electronically, a paper form will be sent to the address on your employee record by Sunday, Jan. 31. Check out employment opportunities at uta.edu/jobs. Have questions? Call Human Resources/Employment Services at 2-3461 or TDD 2-8139, or email employment@uta.edu. The University of Texas at Arlington is an equal opportunity and affirmative action employer. UTARI Lunch and Learn Atilla Dogan, associate professor of mechanical and aerospace engineering. Register online. Shuttle available. Lunch provided. Noon, UTARI, 7300 Jack Newell Blvd. S., Fort Worth. UT Arlington Research Institute. Software Carpentry Workshop Hands-on experience with basic Linux shell, Git/Github and data analysis in R. Register online. $20. 9 a.m.-5 p.m., Room 100, Geoscience Building. Digital Humanities Lecture and Workshop Kristen Eshleman and Suzanne Baker of Davidson College, lecture "Digital Humanities and Digital Scholarship in Undergraduate Education" and workshop "Designing Your Own Undergraduate DH Project." Register online. Free. Noon-1 p.m. lecture, 1-3 p.m. workshop, Room 228, Engineering Research Building. Learning Innovation and Networked Knowledge (LINK) Research Lab. Arlington Technology Association Don Winfree, Lockheed Martin Aeronautics senior fellow, uses examples from his 38 years of working with exotic aircraft such as the F-35 fighter to describe the innovative and productive process he designed to find the root cause of complex problems. He recently helped to solve pilot oxygen supply problems in the F-22. Light breakfast provided. RSVP. Free. 7-8 a.m., Room 100, Nedderman Hall. Arlington Technology Association. Study Abroad Fair 11 a.m., Palo Duro Lounge, E.H. Hereford University Center. Study Abroad. Human Resource Training Register online. Performance Management Forms and Procedures, 2-3 p.m. Friday, Feb. 5; 9-11 a.m. Monday, Feb. 8; noon-1 p.m. Tuesday, Feb. 23. Also, Career Development Discussions for Managers, 2-4 p.m. Thursday, Feb. 11; Writing Effective Performance Reviews, 9-11 a.m. Wednesday, Feb. 17. All in Room 200, Wetsel Service Center. Human Resources. RAD Self Defense Class Self-defense course for female faculty, staff, and students. Register online. Free. 9 a.m.-6 p.m., Saturdays, Feb. 6, March 26, April 9; Room 102-B, Maverick Activities Center. UTA Police. Lean Six Sigma Prepare for the IASSC exam with yellow, green, and black belt courses. Yellow belt begins Monday, Feb. 8. Register online . $895. 6-10 p.m. Mondays and Wednesdays. Division of Enterprise Development. Black History Month Lectures Heather Thompson, University of Michigan, “Mass Incarceration,” 7 p.m. Wednesday, Feb. 10, sixth floor parlor, Central Library; Theron Bowman, Arlington deputy city manager, “Lawz N the Hood,” noon-1 p.m., and attorney Jermaine Watson, “The Anatomy of a Lawsuit,” 1-2 p.m., Wednesday, Feb. 17, Room 200, Trimble Hall; Cheryl Wattley, UNT Dallas College of Law, “Ada Lois Sipuel Fisher and Her Fight to End Segregation,” noon-1 p.m. Wednesday, Feb. 24, Room 200, Trimble Hall. History, African American Faculty and Staff Association. CPR/AED/First Aid Class A single, five-hour class covering the American Red Cross first aid basics, medical and environmental emergencies, adult CPR, and AED use. Registration at MAC Services and Information desk. $50. 10 a.m.-3 p.m. Saturday, Feb. 20, Room 223, Maverick Activities Center. Also, Saturdays, March 5, April 9, May 21. Campus Recreation. Keep moving: Junior forward Faith Pope, top, takes to the air in Saturday's game against Arkansas-Little Rock. Junior guard Breck Clark encounters a traffic jam of Arkansas State players in last Thursday's game. Sophomore forward Kevin Hervey is out for the rest of the season with torn left knee he suffered prior to Thursday's game against Arkansas State. Hervey was among the Sun Belt Conference leaders in scoring (18.1) and rebounding (9.8). Ranked 26th nationally, he had eight double-doubles this season. The Mavs claimed a 91-64 victory over Arkansas State on last Thursday night at College Park Center, but fell 68-62 against Arkansas-Little Rock on Saturday. The men’s basketball team is 14-4 overall and 5-2 in conference play. The Mavericks open a two-game road trip today at Louisiana-Monroe before facing Louisiana-Lafayette on Saturday. The Lady Mavs basketball team starts a five-game road trip against Louisiana-Monroe on Thursday, after two losses at home. The team is 7-10 overall and 2-5 in the Sun Belt Conference after falling 78-71 to Arkansas State and 59-55 to Arkansas-Little Rock. Other games on the road include Louisiana-Lafayette Sunday, Jan. 30; Georgia Southern Wednesday, Feb. 3; Georgia State Saturday, Feb. 6; and Texas State Tuesday, Feb. 9. The baseball alumni game will give fans a chance to get a first look at this year's players, while also taking a look back. A number of former Mavs such as Michael Choice, Adam Moore, Preston Beck and Dillon Gee are expected to attend. Festivities are set to kick off at noon Saturday, Feb. 6, at Clay Gould Ballpark with warmups and batting practice, during which the hitters' home runs will be tracked as part of a pregame home run derby. First pitch for the game is tentatively set for 2 p.m. The First Pitch Fundraiser follows the game. For details on ticket sales for the game or the fundraiser, contact Kris Wood at kriswood@uta.edu at 2-9613. Former players who are interested in taking part in the alumni game are encouraged to contact coach Darin Thomas. Tickets are on sale for the fifth annual First Pitch Fundraiser. The event benefits the UTA baseball and softball programs and is set for 6 p.m. Saturday, Feb. 6, at the Justin D. Wilson Batting Facility at Clay Gould Ballpark. UTA baseball coach Darin Thomas and softball coach Kristie Fox will look back on their 2015 seasons and preview the 2016 squads. Members of the 2015 baseball and softball teams and former UTA players also will attend. Tickets are $25 and available at utatickets.com. Softball players Sandra Mendoza and Mya Anderson were named to the College Sports Madness Preseason Sun Belt Second Team. The team opens its season with the Maverick Classic Thursday-Sunday, Feb. 11-14, at Allan Saxe Field. The Maverick men's tennis team opened the season with a pair of defeats against Arkansas and Michigan State. The team plays a make-up match against Rice at 3 p.m. Thursday, Jan. 28, in Houston. The Mavs play at home Saturday, Jan. 30, against Dallas Baptist at 10 a.m. and DePaul at 2 p.m. Season tickets for UTA baseball and softball are now on sale at utatickets.com, with single-game tickets available Tuesday, Feb. 2. Baseball season tickets for 30 home games are $75. Softball season tickets for 28 games are $75 for reserved seating and $40 for general admission. Upcoming intramural sports deadlines are billiards tournament, Thursday, Jan. 28; basketball, Wednesday, Feb. 3; rock climbing, Wednesday, Feb. 9; racquetball, Friday, Feb. 12; indoor soccer, Wednesday, Feb. 17; tennis, Friday, Feb. 19; softball, Wednesday, Feb. 24. See the intramural sports schedule. Pick up entry forms at the Services and Information Desk of the Maverick Activities Center. For questions, call 2-3277 or email imsports@uta.edu. 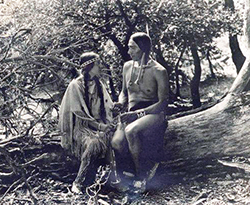 See a rare film of Comanche and Kiowa people from 1920 with scenes of buffalo hunting and ceremonial dances. Daughter of the Dawn was produced by the Texas Films company of Dallas and shot in the Wichita Mountains near Lawton, Okla. The film begins at 6:30 p.m. Wednesday, Feb. 3, in the Rosebud Theatre of the E.H. Hereford University Center. Admission is free. The Native American Student Association (NASA) hosts the movie along with the Video Association of Dallas. NASA's 21st annual Powwow is set for Saturday, Feb. 27, in the E.H. Hereford University Center. Mad Songs David Grogan, assistant professor of music, leads a faculty recital that reflects a slightly less-than-sane view of the world. Free. 7:30 p.m., Irons Recital Hall, Fine Arts Building. Music. Opening Reception: 'Whew…That’s a Relief! The Madcap World of John Hernandez' Opening Reception for exhibit of works by John Hernandez, 1978-2015. 5:30-8 p.m., The Gallery at UTA, Fine Arts Building. Art and Art History, The Gallery at UTA. Tail-Waggin' Wednesday Students, faculty, and staff can take a break filled with unconditional love from registered therapy dogs. Free. 10 a.m.-2 p.m., sixth floor, Central Library. UTA Libraries. Friday Night Film: 'The Hunger Games: Mockingjay, Part 2' Rated PG. Free popcorn. Concessions for sale. $1, $1.50 with credit card. 8 p.m., Rosebud Theatre, E.H. Hereford University Center. Also, The Good Dinosaur, Friday, Feb. 19. EXCEL Campus Activities. 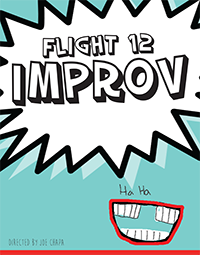 Flight 12 Improv Steeped in fun, the Maverick Theatre Company's Flight 12 Improv has a style that's always outrageous. Tickets $5. 8 p.m., Studio Theatre, Fine Arts Building. Also Saturday, Feb. 6. Theatre Arts. Friends of the Library Houston Faust Mount II, Oilfield Revolutionary: The Career of Everette Lee DeGolyer. 7:30 p.m. Friday, Feb. 12, sixth floor parlor, Central Library. Friends of the Library, UTA Libraries. Focus on Faculty Krystal Beamon. Noon-1:30 p.m. Wednesday, Feb. 17, sixth floor parlor, Central Library. UTA Libraries. Third Thursday Game Night Free. 6-9 p.m. Thursday, Feb. 18, basement, Central Library. UTA Libraries. Maverick Musical Student teams perform Broadway-style productions with singing, dancing, stepping, strolling, instrumental, and other performance aspects in this unique competition. Cash awards for top three acts. 7 p.m. Thursday, Feb. 18, Rosebud Theatre, E.H. Hereford University Center. EXCEL Campus Activities. The Gallery at UTA: 'Whew…That’s a Relief! The Madcap World of John Hernandez' A retrospective exhibition by San Antonio artist John Hernandez that spans four decades. Gallery hours 10 a.m.-5 p.m. Mondays-Fridays and noon-5 p.m. Saturdays. Through March 30. The Gallery at UTA. Planetarium Explore the secrets of the universe in the new show Dark. The spring schedule includes Astronaut, Cosmic Colors, From the Earth to the Universe, Pink Floyd, and SpacePark 360: Infinity. Through May 29. UTA Planetarium. The University of Texas at Arlington does not discriminate on the basis of race, color, national origin, religion, age, gender, sexual orientation, disabilities, genetic information, and/or veteran status in its educational programs or activities it operates. For more information, visit uta.edu/eos. For information regarding Title IX, visit uta.edu/titleix. MavWire is published by University Communications on Mondays and Thursdays during the fall and spring semesters and on Thursdays during the summer, except for holidays. To submit items for possible inclusion in MavWire, email mavwire@uta.edu. Items must be received three working days before distribution. Inclusion of events and activities in MavWire does not necessarily constitute an endorsement by the University. Read the MavWire Guidelines. MavWire welcomes any non-employees of UT Arlington who would like to subscribe.